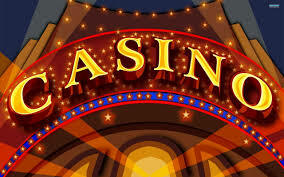 For several years Indian casinos in California have been arguing that the state was wrong to allow cardrooms to operate “Vegas-style” games such as Blackjack and Baccarat, claiming that a 1999 Tribal-State Gaming Compact gives them exclusive rights to these games. In 2007 the Bureau of Gambling Control allowed these games to be played in cardrooms with wagers not made against the house, but a third party “player/dealer,” a position that rotates among the participants and can be taken at their discretion. The tribes haven’t managed to prevent the games being played, but in July new guidelines from Attorney General Kamala Harris require the player/dealer position to rotate every 60 minutes or a two minute break must be taken before the game can resume. Which means that the games can go on operating as they were with the addition of a two minute break every hour. Nobody appears to be happy with the decision. The Indians don’t seem to think the games should be legal at all, and the cardrooms think the new rule could tend to break up the games causing economic harm.